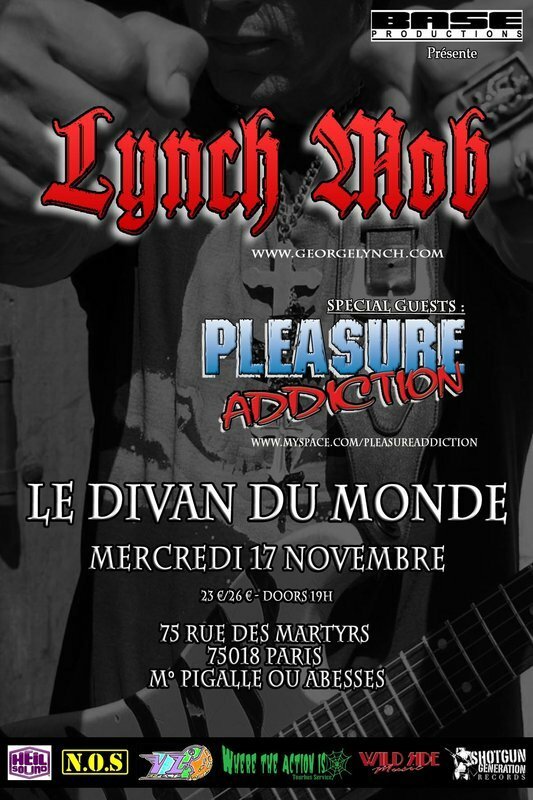 When Lynch Mob announced that their Smoke And Mirrors European Tour was stopping in Paris, I thought this was going to be a really cool show. 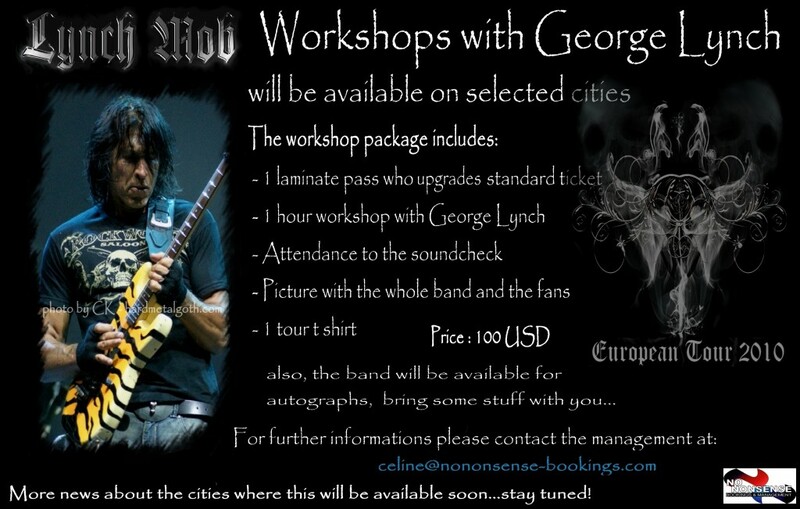 First Jetboy and then Lynch Mob live in the same city, two hard rock concerts just separated by a 4 day gap... I thought that was awesome. But I was wrong. We all know what a great musician George Lynch is. We all know that his band is good. Then what happened with tonight's show? The band a did a soundcheck behind a curtain before the show. Then the curtain went up and a voice screamed "Ladies and Gentlemen, please welcome Lynch Mob". The band started their show with She's So Evil But She's Mine. Nothing wrong until then, except that the soundcheck didn't really worked... so the band made another soundcheck, on stage, before playing the next song. Well any band can have sound problems but usually the sound enginner can manage to solve it within a couple of songs. But when the bands stop playing to tell the engineer what to do it's not good for the atmosphere of a show. And worst of all, well, the sound got better but still not great. I also didn't take many pictures because the lights were quite dark. Now, the performance of the band. It was OK, but I expected better. Hey, George Lynch is Dokken's historical guitar player! But maybe I expected too much from him and his band? 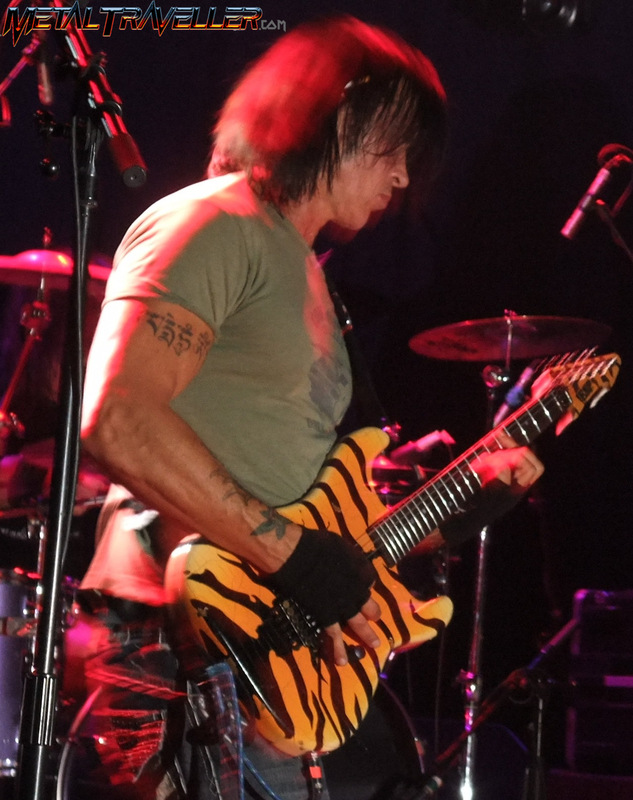 George Lynch brought a great line-up, including original Lynch Mob singer Oni Logan. Brian Tichy, the current drummer of Whitesnake, was playing tonight with Lynch Mob. During his career, this guy has played with people like Billy Idol, Ozzy Osbourne and Slash. Lynch Mob bass player was Robbie Crane, who I have already seen with his main band, RATT. But playing with great musicians doesn't guarantee a good show, and tonight there was something missing on the performance, they didn't sound like a band. Lynch Mob played a setlist based mainly on songs from the classic Wicked Sensation album: 5 songs from this record were played. They also included 3 songs from their latest release Smoke and Mirrors, and of course 3 songs from Dokken, starting with the instrumental Mr Scary. Not a single song from any other Lynch Mob record was played. Was this a request from Oni Logan or was this George Lynch decision? The Dokken songs were played by the end of the show, and honestrly it was the best moment of the evening: when the audience screamed louder and when the atmosphere was better. Well, Lynch Mob didn't match their reputation tonight. Something must have been wrong, it's not possible that such good musicians play a show like this. Probably this was just a one off, maybe I attented the wrong show. I'll only know if I ever see them again.